So glad to have YOU here with us!!! Can you believe we are on week 22. Wow! Time flies to quickly! Incase you missed it, I have a GIVEAWAY going on right now. Wahoo!!! MyMemories Digital Scrapbooking Software is giving away 1 FREE program to Two Yellow Birds Decor's Readers!!! 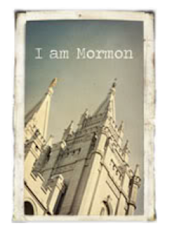 It is the most AMAZING program. Go HERE to check out the giveaway! You don't want to miss out! Thank you so much to everyone who shared there wonderful ideas at last weeks party! I was able to glance over them. I am sorry I didn't make it to all your links. I had the most busy week spending time with family and celebrating my little girls birthday. Hope you will forgive me! Endless Labels @ Prickly Banana. I Love what she did with these labels. She painted them on the canister. What a creative way to put them on there. Doing it this way they won't peel off! 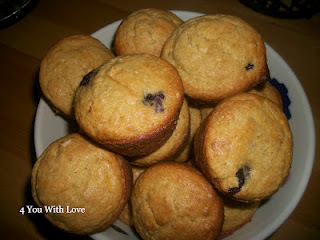 Lemon Blueberry Muffins @ 4 You With Love. These muffins sound delicious!! I am a sucker for blueberries. YUM!!! Easy Summer Center Piece @ A Grace Full Life. I love this center piece. It is so simple, but makes a big statement for summer!! Plus...who doesn't love having a bucket of flowers in the house?!? Mustache Baby Shower Favors @ Just Us Four. How cute are these little favors for a baby shower? What a cute idea to use the "mustache" theme that is so in right now! So fun!! Matt's Stache @ We Like To Learn As We Go. This is the cutest idea for a gift!! Again going with the "mustache" theme. What teenage boy would not love this!?! Very creative! 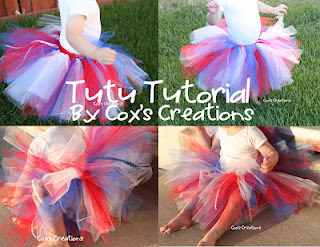 4th of July Tutu Tutorial @ Cox's Creations. What a fun skirt for the upcoming holiday! I love the ric rac ribbon going throughout it! I need to make one of these for my little girl! Cuteness!!! Thanks for hosting!! Have a wonderful day! Yay! Its so much fun to be featured! Hugs! Thanks for sharing your features this week! LOVE the "Stache" ideas!! Cute, cute, cute!! You are so kind! Thank you for your sweet words. I know...aren't they so cute! Thanks so much for featuring my mustache bowl! And thanks for hosting!